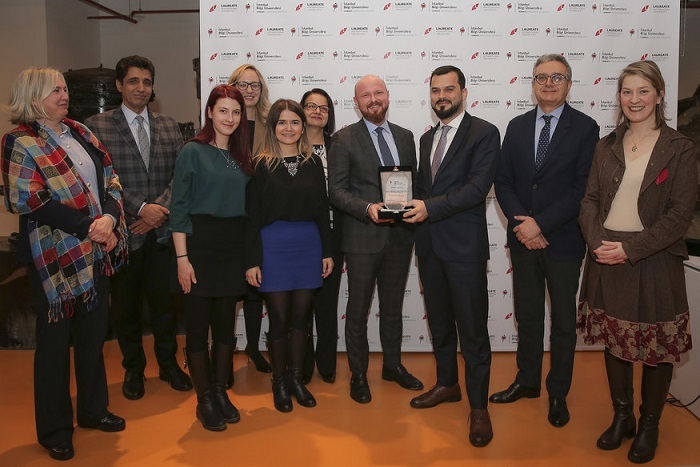 İstanbul Bilgi University Pro Bono Network held its first Pro Bono Award Ceremony on 24 January 2018. Law firms and NGOs participating in the Pro Bono Network came out to celebrate and show support. The Dean of Istanbul Bilgi University Faculty of Law Prof. Turgut Tarhanlı made the opening speech of the event. Then, a member of the Pro Bono Award Jury, Aynur Tuncel Yazgan spoke. The Pro Bono Clearinghouse Coordinator Asst. Prof. İdil Elveriş explained how they started the Pro Bono Network over ten years ago. Selim Dündar spoke about his experience in the US as a pro bono visitor and Mesut Keskin from E-Bursum explained the benefits provided to their NGO. Dündar & Sır Law Office won the Pro Bono Award 2017 for their efforts in the labor and social security rights of members of Actors Union (Sahne, Perde, Ekran, Mikrofon Oyuncuları Sendikası). The Pro Bono Award was also given in the NGO category. The Civil Society in the Penal System (Ceza İnfaz Sisteminde Sivil Toplum Derneği, CİSST) was awarded for their initiative to start a “Lawyers Network” project for the use of inmates. The network put together about 40 volunteer lawyers from all over Turkey to help incarcerated people who have difficulty to communicate with the outside world.